With millions of men and women incarcerated, what of their children? According to a report by Urban.org when a parent is sent to prison family structure, financial relationships, income levels, and living arrangements may be affected. Many children end up in foster care and some never return to their parents. Although the absence of a parent(s) who was abusive or on drugs may be positive, for the most part it is still negative. Urban.org states, “The imprisonment of nearly three-quarters of a million parents disrupts parent-child relationships, alters the networks of familial support, and places new burdens on governmental services such as schools, foster care, adoption agencies, and youth serving organizations.” While there has been a new focus on those being incarcerated due to not only the high numbers, but the increasing number of for profit prisons, the effects on the children of those incarcerated have been overlooked. According to a publication entitled, “Incarcerated Parents”, by the SentencingProject.org, parents that go to prison share their suffering with their children since they lose contact and visits are rare. There are great distances between parents and their children; women are housed an average of 160 miles (sometimes as far as 500) away, while men are about 100. This problem is exacerbated since the number of phone calls and letters are also limited. It is reported however, that 60% of mothers and 40% of fathers report having weekly contact with their children. The rising numbers of women in prison also pose challenges to family stability. In 2007 there were almost 2 million minor children with an incarcerated parent, an 82% increase since 1991, with 70% being children of color. According to the National Resource Center for Permanency and Family Connections, the number of children with incarcerated mothers rose by 131% from 1991. 56% of federal inmates were parents and 36% had more than one child. Parental rights were terminated in 92.9% of maternal incarceration, in 91.4% of paternal incarceration and in 100% of cases when both parents were incarcerated. The Adoption and Safe Families Act of 1997 was to increase the placement of foster children in permanent homes. Since 52% of incarcerated mothers reported being single parents the likelihood their children would enter the child welfare system was high. As of 2003 about 6% of children in foster care entered because of a parental incarceration. The average incarcerated parent is in 80-100 months, which is well beyond the ASFA’s 15-month timeline for termination of parental rights. So the longer a parent’s sentence the more likely it is the parents and child will not be reunited. 62% of parents are in state prisons, 84% of parents are in federal prisons. 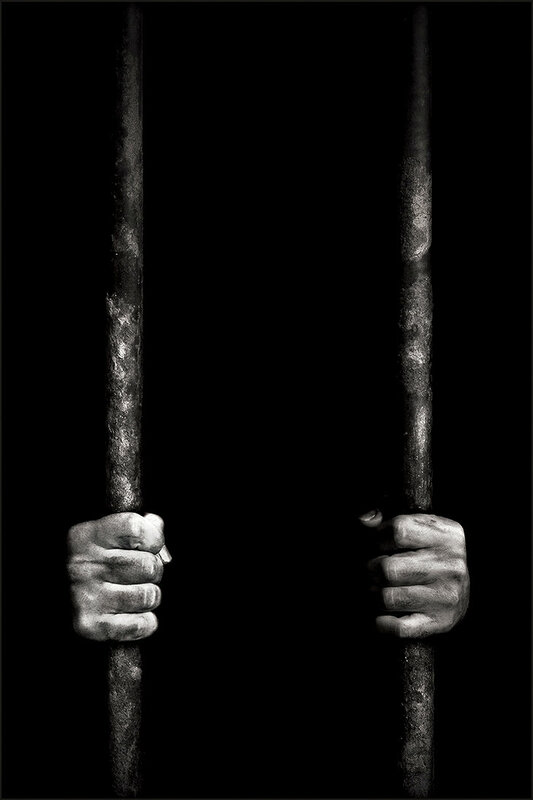 The average age of a child with an incarcerated parent is 8 years old, 22% of the children are under the age of five. Children of incarcerated mothers are four times more likely to stay in foster care than other children. They are also more likely to age out of the foster care system, are less likely to reunify with their parents, or get adopted. Incarcerated parents are either serving time for violent offenses or drug offenses. While in some prisons those incarcerated are provided opportunities to serve as productive members of their families once they are released, for many reasons these programs are not widely available. This has to do with the fact that correction departments’ policies have put greater emphasis on punishment than on rehabilitation. This also puts barriers to resuming custody of their children when those incarcerated are released. There are many barriers to employment and parenting that make it hard for those incarcerated to resume support roles when they return home. There are barriers to employment, housing, education, as well as detachment from loved ones and the stigma attached to being in prison. This makes it difficult when a parent wants to take their child(ren) out of foster care. It is hard to show that they can provide for their children when there is little help available for them to find adequate housing, employment, and child care. The federal Personal Responsibility and Work Opportunity Reconciliation Act passed in 1996, imposes a lifetime ban on cash assistance and food stamps for people convicted of a drug offense unless a state has opted out of the requirement. According to a report by the Legal Action Center, there are also restrictions on public assistance, public housing, student loans and drivers’ licenses. Most states allow employers to deny jobs to people who were arrested, but not convicted of a crime and to those with a criminal record. According to the LAC, over the past 20 years the federal government and many states have dramatically increased the number, range, and severity of civil penalties for those with criminal convictions–in certain cases even for people who have never been convicted of a crime. (There have been a handful of states that have passed laws or policies that modified or eliminated the lifetime ban on receiving public assistance and food stamps for those with drug felonies; that improve employment for people with criminal histories; that address voting disenfranchisement.) All these barriers not only hinder those who were incarcerated from reintegrating into society, but also diminish their chances of regaining custody of their children. These tough on crime policies are seen by many as overly punitive. The LAC points out that Latino and African American individuals are disproportionately harmed by these policies and that leads whole communities to suffer economic and political disenfranchisement. Some have pointed out that the welfare and food stamp ban serves no rational purpose but to impose punishment. Given all of this some communities have been coming up with strategies to help mitigate the negative effects of incarceration. Some cities have made prisoner reentry a priority for their administrations. I know that some of you think that parents who end up in jail deserve what’s coming to them, and that losing their child is simply a consequence of their action–but wait. While I am not saying that parents should receive a get out of jail free card, I think our policies are worth looking at. Currently Americans (of color) are being incarcerated at record levels and to make things worse, people are profiting. Not only are more people being incarcerated, but they are being incarcerated for longer periods of time. Private prisons have acknowledged that leniency in conviction and parole standards would adversely affect demand for their facilities. Is this just? Even ethical? Those who break the law should have to pay a price, but one that is proportional to the crime. They shouldn’t have to stay in jail longer so that a few can make a profit. Not only do we throw people in jail, then we make it extremely difficult for them to reintegrate into society. How do we expect them to contribute to society and support their families and themselves when we make it difficult for them to go back to school, get a job, or get assistance? How do we expect them to not return to a life of crime to support themselves? Or is that the point? Granted, some people have no interest in living life as law abiding citizens and some criminals are undeserving of our sympathy, but many, about half of those in federal prisons are there for non-violent drug offenses. The New York Times reported that with most people spending almost three years behind bars, there is strong evidence that imprisoning nonviolent offenders adds huge costs with little benefit to public safety. Many are also being thrown in jail because of drug use. As Senator Rand Paul points out, people are in jail 37 years or more for nonviolent crimes, so he along with Senator Patrick Leahy introduced a bill that would give judges the ability to sentence drug offenders to shorter prison terms than those required by the federal mandatory minimum. We need to realize that it is not only those incarcerated that get punished, but also their families–their children. These children are at high risk of negative behaviors such as school failure and delinquency. Children of incarcerated parents can suffer from the trauma and shame of social stigma, which can manifest as depression, anxiety, social isolation, decreased concentration and acute traumatic stress; there are reasons besides justice and ethics to make sure people who are incarcerated receive a just sentence. Children need their parents. Again, I am not saying that parents don’t bear a responsibility for their illegal actions, or that they shouldn’t suffer consequences, but we don’t have to exacerbate those consequences either. Some parents just made a mistake and don’t deserve to lose their children and some crimes simply are not worth children ending up in foster care.